"For we are His workmanship, created in Christ Jesus for good works, which God prepared beforehand." The Food Pantry provides food to families in need within the community. Non-perishable food items are supplied to an average of 42 families per month. 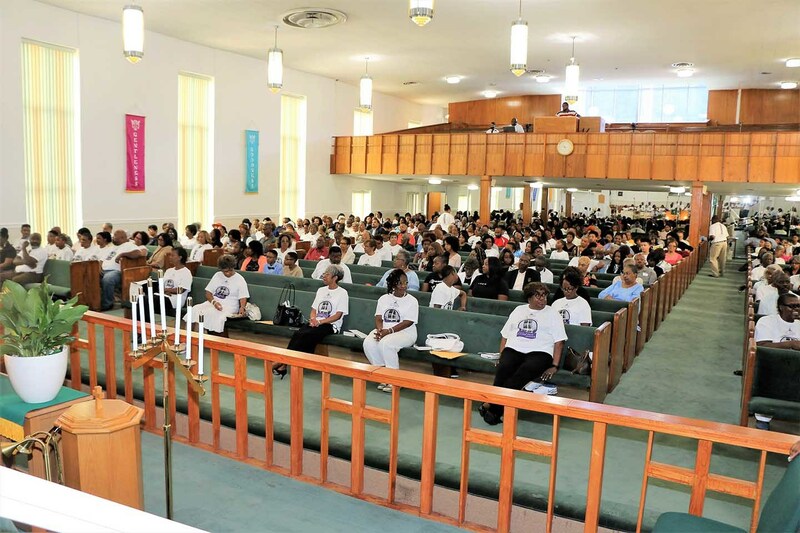 St. Mark partners with the Metro Transitional Center of Atlanta (MTC) to help MTC women transition back into the community as productive citizens by inviting them to share in regular worship service every 5th Sunday. The Thanksgiving Basket Program supports an average of 70-80 families per year. Each basket includes a complete Thanksgiving dinner, complete with a turkey, fresh vegetables, and dessert. During the Christmas season, the annual Angel Tree Program provides "wish list" Christmas gifts to children of incarcerated parents. The annual Coat Drive provides donated "gently-used" coats to those in need within the community. Free, quarterly community health screenings are provided to detect diabetes, high blood pressure and other common illnesses. Healthcare providers distribute informative brochures and give consultations on site. St. Mark partners with the Atlanta Public School Adult Education Program to teach GED preparatory courses in Math, Language Arts, Social Studies and Science.